When I first downloaded the latest iOS 9.3 to my iPhone 6s, like most people I was excited to see the new features. And like most early adopters of technology, and a software developer myself, I was also strangely excited to see if I could be one of the first to find any bugs in the new system. Like many other people, one of the first “Undocumented Features” I found was that links no longer worked on my phone. Not just links from a web browser, but any links. Inconvenient, yes. End of the world, definitely not. Of course I reached out to Apple to see if they had a work around (which it was too early and they did not). I jumped on Apple Bug Reporter and logged a ticket and attached stackshots. In the end, from the March 22nd release date until the March 31st 9.3.1 patch that resolved the issue, Apple was able to receive reports, identify the issue, design a solution, test, and release in just over a week. While that may seem like a long time to an everyday user, it’s actually quite impressive. In fact, one of the first things I tell clients when I engage in a project is that we always need to plan for bug fixes and remediation because there will always be bugs. It’s a fact of life in software development and technology as whole. Could you build a solution that is 100% bug free. Sure, but why would you want to? If you build a system that is 99% bug free, that means you’ve also built a system that is is likely 0-1% innovative. With great innovation and improvements comes that task of iterating through improvements. So what is the moral of the story here? Well first, if you are not one of the 2.5% of innovators or 13.5 percent of early adopters of technology you probably want to hit the “Not Now” button when you iPhone asks you to update to a major release (major releases have just 1 decimal point like 8.0 or 9.3). If you are a tech-nerd like me than dive right in and enjoy the ride. There’s something to be said for being one of the first to find something new! Cheers! As I’m getting ready for Dreamforce 2015, I’ve noticed I haven’t updated in my blog in over a year. Well, I have to say it’s been a heck of a year, but that’s no excuse. In the last year I’ve changed jobs. I’ve moved out of the consulting arena , which is still amazing to me. When I first started consulting all of the conversation in the Salesforce community was around “where have all the admins gone”. It’s crazy to see the transformation from companies not being able to justify a full-time Salesforce admin, which in large part drove the need for consultants, to enterprise customers building admin and development teams large enough to compete with all but the largest consulting firms. Don’t get me wrong, I’m certainly not saying consulting firms are going anywhere. Right now I am working with a global team of about 30+ resources, as well as working with consulting partners for strategic planning. It’s just interesting to see how quickly business needs change and how consulting partners have differentiated themselves to stay leaders in an extremely competitive environment. 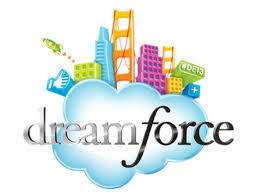 Over the last year there have been many small changes that have been really impactful to businesses that utilize Salesforce and the Force.com platform. However, what motivated me to start blogging again is the huge shift that is about to take place. Unlike Apple (yes, I just bought an Apple watch for myself and one as a gift) which hasn’t really innovated much since the passing of Steve Jobs, Salesforce is on the verge of yet another revelation in business technology. I consider myself lucky to have been there when Salesforce introduced features like workflow rules, the Force.com platform, which was by all means the first wildly successfully cloud based development platform, and Chatter. I watched as businesses around the globe pushed back stating they didn’t want the “Facebook for Business” because they needed productivity. Only to learn that Social Collaboration was the Industrial Revolution of our generation! Well, love him or hate him, Marc Benioff has done it again! Lightning is now changing the way Cloud Based, Social, Enterprise business is able to scale to an increasingly mobile world. Lightening has been around for some time now, and it’s what has helped fuel the mobile development world for enterprise business. However, there are aspects that desktop users have been missing, specifically, removing the dependance on heavy server side code, for the quick responsiveness of more browser based solutions. While Visualforce was revolutionary for it’s time (I certainly don’t miss S-Controls), the latency of waiting on server responses, even for desktop user, was no longer acceptable. Visualforce has long supported other technologies such as Angular, and all the other JS’s, but the new Lightning framework moves us to the next level in technology. Even the Salesforce “Developer” certification is changing! Why, you ask? Well because, no longer are we stuck with the old MVC model of development, but now we are moving towards more responsive component based solutions. It’s hard to overstate how dramatic this change actually is. I’m looking forward to the opportunity that Dreamforce provides to brainstorm with so many other Salesforce enthusiasts on how we can continue to drive both the platform and enterprise business. At the end of Dreamforce, I can’t wait to share some of these ideas with you all!